Chances are, you’ve probably played on several games created by the M.U.G.E.N graphics engine. 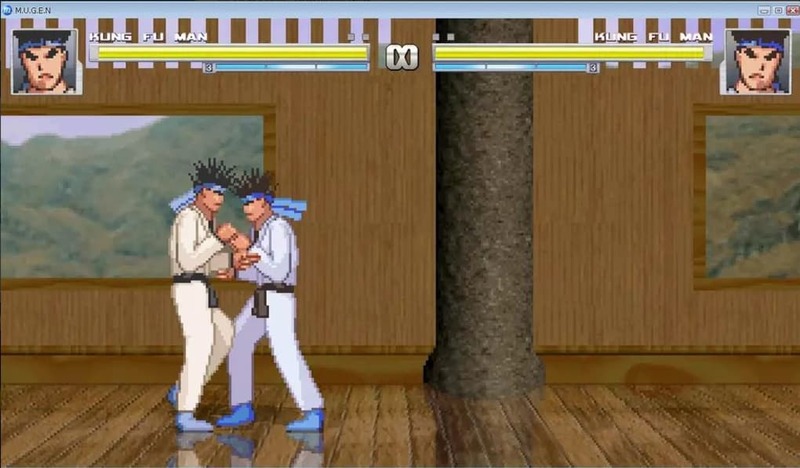 2D fighting classics such as Street Fighter and Paws of Fury were originally developed on it. Today, the M.U.G.E.N engine is enjoying something of a revival due to the great old-school cartoon style characters you can create with it. Note however, that this M.U.G.E.N download is for the design engine and you’ll need to be familiar with DOS programming to use it. There is one game included simply called “M.U.G.E.N” although it’s only intended as a demo to show you what you can do with it. M.U.G.E.N is essentially a DOS-based 2D graphic design engine originally released in 1999. It allows anyone to create characters, stages and other game objects through interpreted text files, graphics and sound compilations, and it also supports various types of audio formats such as MP3, ADX, OGG and MIDI for sound effects. 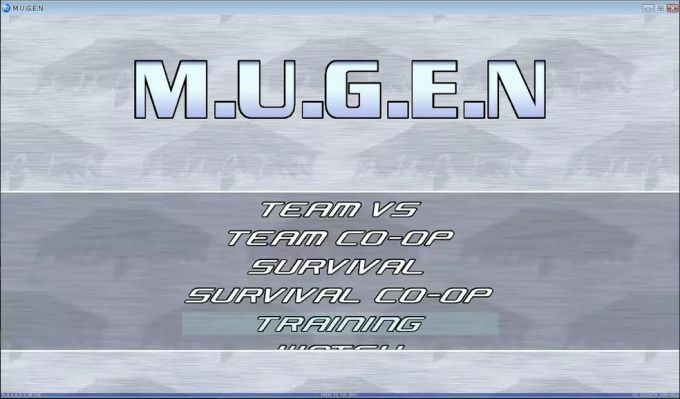 M.U.G.E.N has been in Release Candidate for several years but most recently version 1 was released as a full version. However, most of the improvements were simply bug fixes and a license change which permit inclusion of the MUGEN executable into free non-commercial bundles. The M.U.G.E.N engine is currently setup primarily for fighting game development, but several other game types have been developed using it including shoot-em-ups and platform games. If you're nostalgic about the games you played in the arcade as a kid, and are willing to learn a bit of coding to create your own, M.U.G.E.N is exactly the tool you need. Engine Changes Title screen F1 info box text can now be customized in system.def. SND files with invalid WAV files now log a warning instead of causing MUGEN to abort. Bug Fixes CNS: Fixed associativity of := for fvars. Fixed a bug that caused some sounds to be played on incorrect channels or with incorrect stereo panning. Storyboard: Replaced broken soundX.volume parameters with soundX.volumescale. Fixed incorrect character positioning in win and results screens. Doc Changes Some documentation was updated. License Changes The license has been updated to permit inclusion of the MUGEN executable into free non-commercial bundles. See readme.txt. 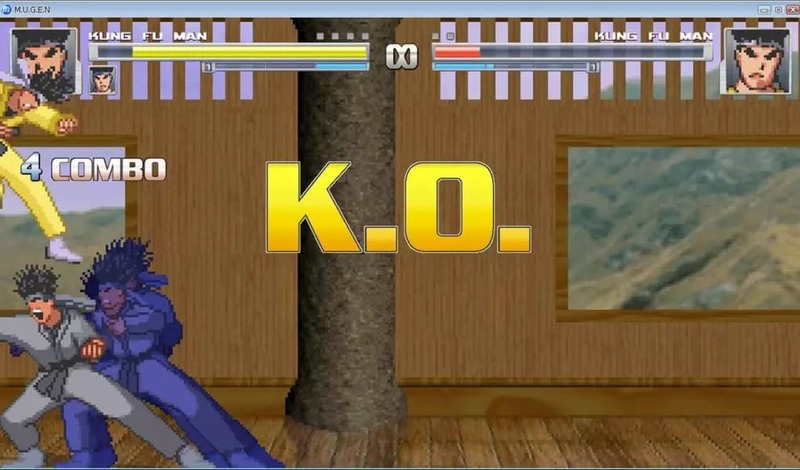 M.U.G.E.N is a 2D fighting game engine designed by Elecbyte and originally released in 1999. The engine allows anyone to create characters, stages and other game objects through interpreted text files, graphics and sound compilations and it also supports various types of audio formats such as MP3, ADX, OGG and MIDI as background music during gameplay. 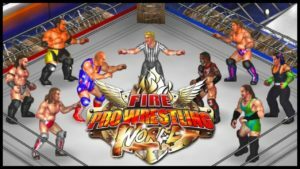 The engine allows for the creation of 2D fighting games such as the Street Fighter games produced by Capcom or the King of Fighters games produced by SNK. While the engine is currently set up primarily for fighting game development, several other game types have been developed using it, including shooter and platformer style games. lol idi. it cool,fun and stuff! is the best game ever and ever!!!!!!!!!!!!!!!!!! Best fighting game ever in history hands down.. M.U.G.E.N is highly recommended for fighting game fans. You can literally play as anyone you want, in 1v1 matches, or 2v2 matches. 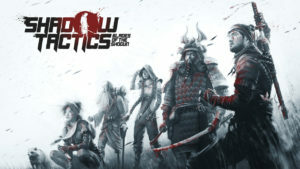 A very good game and software!. Very good game and fun to play. You can have virtually any character you want and tons of them. Pros: Add almost any character. Tons of room for tons of characters/stages. Might take a while to learn how to do stuff. Amazing. An very good (amazing) fighting system made by Elecbyte. I recommend it to these who likes fighting. Pros: Screenpack. 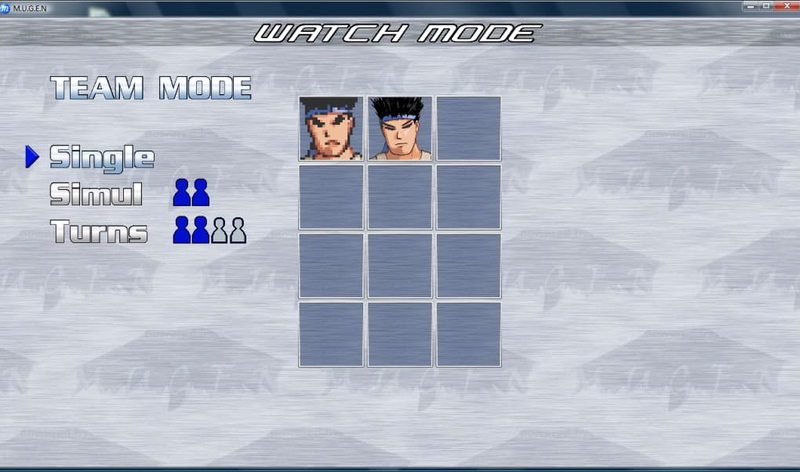 Adding Chars And Stages. Bio-X. It runs over windows both 32 and 64. Currently doesn't still running over dos. His parameters are suitable for changes from a simple note pad, or in chars/stages using a extra tool, like z-charcad. - Runs over any windows. - Music works fine, without lacks. 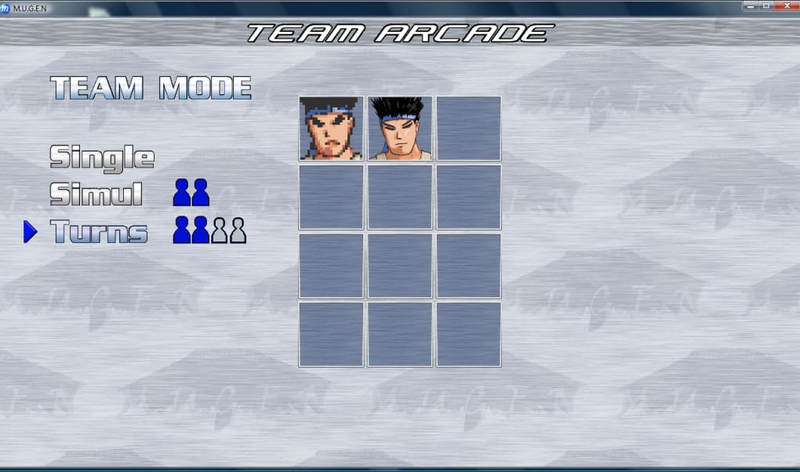 - Easy to put more chars / stages, only edit system.def and select.def in /data. 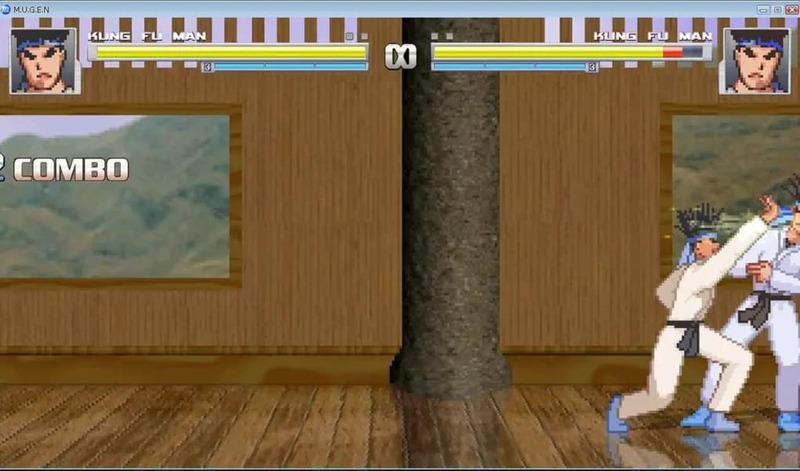 - Various fighting style options. - intros/endings are made only with static images (.Sff), not &quot;real&quot; video format, they could be more heavy than expected. What do you think about M.U.G.E.N? Do you recommend it? Why?